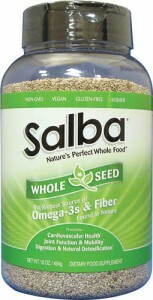 Thanks so much for the tip on salba. I researched it and it really does look like a great way for celiacas to add gluten free nutrition to our food. They make nutrition bars too. Can’t wait to try it! thank you so much for that your the best hope i will get a copy of your next book. ms.hames class thank you so much bye!!! !